I feel like each year, buying for my family gets harder and harder. I'm definitely one of those people who likes to 'hit the nail on the head' when it comes to gifting. Sure, I could give my mom another sweater, but I really love the search in finding something that she will really be surprised about! 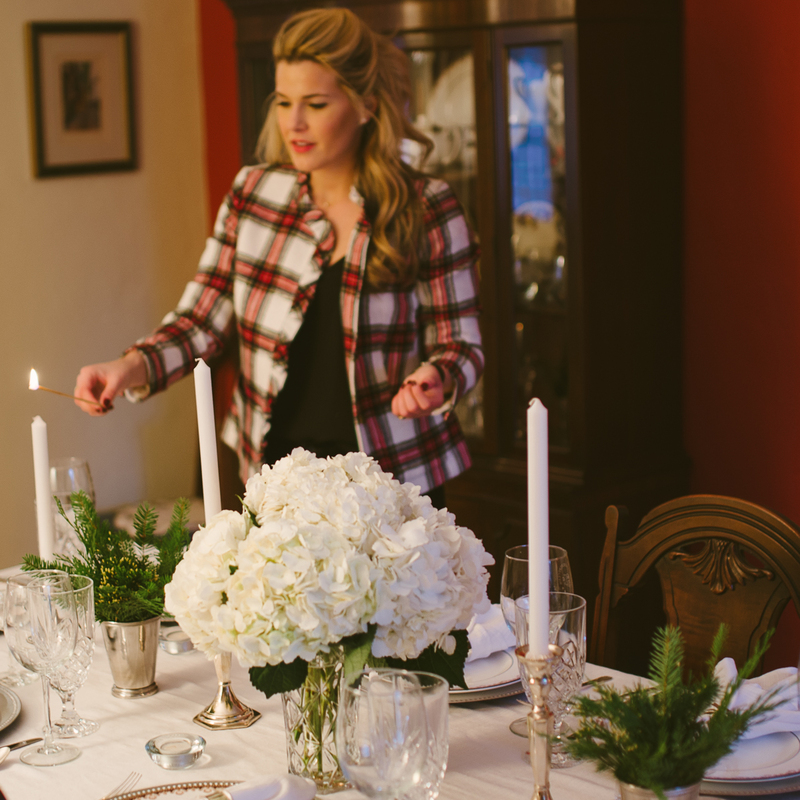 I think one of my favorite resources during the holiday season is eBay, so I'm excited to partner with them today! Whether I'm looking for myself (#guilty) or looking for someone else, there is nothing more exciting than discovering something that you have been looking for! I've been a huge fan of eBay since college. I used to buy vintage Lilly Pulitzer shifts and it was SO exciting when I would find a print I had been pining for! When I moved into my apartment, I searched long and hard for a convex eagle regency mirror. My grammie has one in her home and I've long admired it. I knew a mirror just like that would look perfect above my bar. It was so hard to find this mirror, but sure enough, eBay had one! If you haven't tried shopping on eBay, I definitely recommend it. Every experience has been so wonderful for me and I have found some real gems! Did you know that over 80% off eBay's listings are listed as 'new'? You can also choose the 'Buy It Now' option so you don't have to bid. That is typically how I shop and there is always so much to choose from since 88% off eBay's listings are 'buy it now'. One of my most recent eBay purchases was this new with tags Patagonia Snap-t pullover. I used to have this exact fleece and lost it while skiing last year. 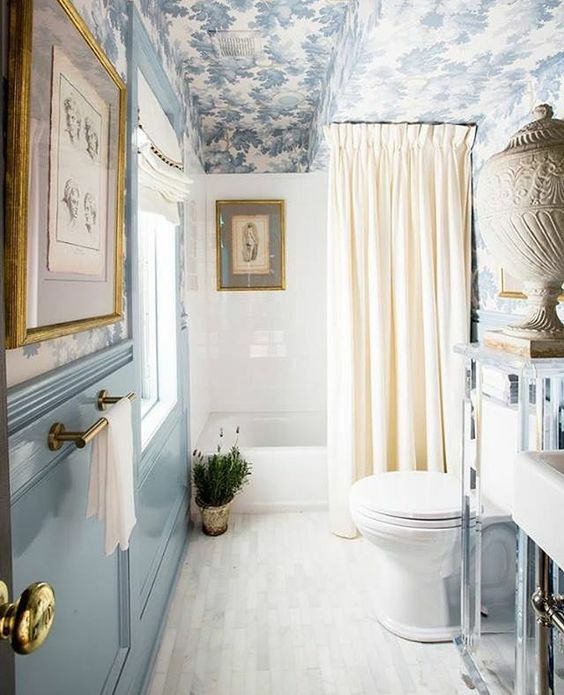 It was one of my favorites- I loved the gray and teal. It was neutral but the pops of teal made it fun! They don't make the pullover in the color-way on Patagonia's website anymore, so I turned to eBay. Sure enough, I found one new with tags in my size. Not only that, but it was a fraction of the price that I paid on Patagonia's website! There are a bunch of other Snap-T's you can buy on eBay if you are interested. I wear them all the time throughout the winter. 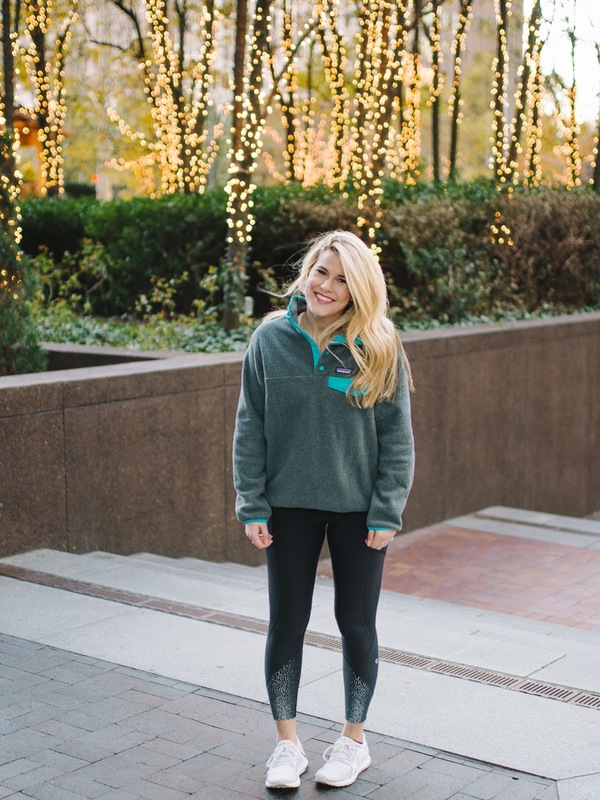 They're so warm and comfortable and would make an amazing holiday gift! Thank you to eBay for sponsoring this post. All opinions are my own. Hi everyone! You may be surprised to find the weekly 'lately' post a day early! I had a gift-guide scheduled for today and have a sponsored post tomorrow, so I was planning on doing 'lately' on Friday this week. But, I feel like I haven't chatted with you guys in a while so I decided to rearrange things a bit! Between my (incredible) trip to Paris and the Thanksgiving holiday, I haven't had a moment to update all of you on what's been going on in the world of Sydney. Grab a cup of coffee, and stay a while, the update is going to be a bit of a long one! I got back from Paris last week and it was truly the best trip I have ever taken. I will share all of the details with you soon. I took so many photos and we did SO many things, it has taken me a while to go through everything. I want to make sure I give you all the best details I can because I received a crazy amount of DM's during my trip with so many questions. Part of the reason it's taking me a while to go through the Paris photos is that post-Thanksgiving, I had a bad cold. I always get sick after traveling on long flights and go figure, I got sick! It hit me hard Friday and Saturday. It was the kind of bad cold that I could power through and do things, but I was miserable and just wanted to sleep the entire time. Luckily, on Saturday I was able to do just that. I just now started to feel 100% better. My Thanksgiving was lovely and I was able to spend a lot of time with my family. You can see our Thanksgiving table in the photos above. 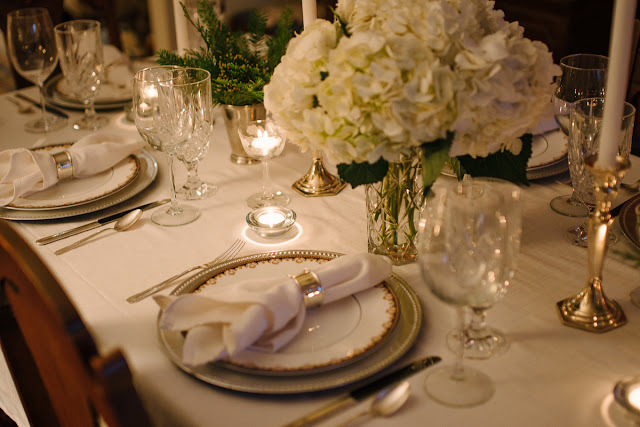 Each year, I plan and execute the tablescape. 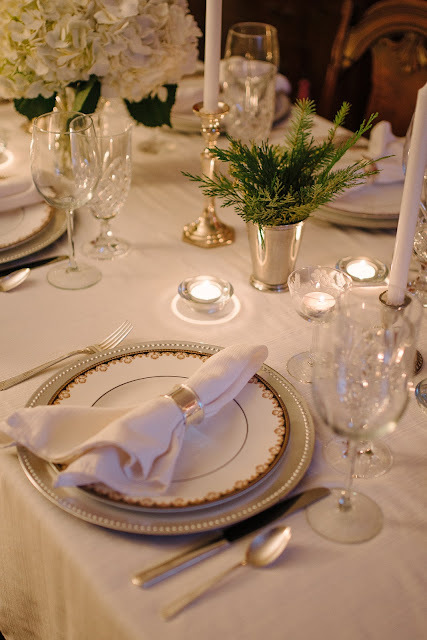 This year I wanted to go for silver and white- very simple and elegant. I just loved the way everything turned out! It was so nice to have Callie home for the holiday, too! She just got the cutest pup named, Bean, and I can't wait to meet her over Christmas! I have been wanting a pup for so long now and her cute dog has made me have dog fever even more! I have been looking for months now, so hopefully someday soon I'll adopt a cutie! This week, I'm glad that Cyber week is over- who else is with me?! The deals were AMAZING this year. I really think there was a lot of money to be saved with the sales and I'm so glad I got most of my Christmas shopping done while saving some money. But, as a blogger, it can be overwhelming and exhausting. I'm so glad to now be able to get back into a routine and the swing of everyday life again! Watching: I watched the A and E Elizabeth Smart Autobiography and it was insane. I was too young when it actually happened to realize the story, but now watching it is horrifying! I definitely recommend watching it but don't watch it before you go to bed- it's that creepy! Watching II: My love for Frank Sinatra runs deep, so when I saw 'dad and son singing Frank Sinatra', I knew I had to watch. It is too cute and the dad is actually pretty good! If I ever have children, I hope that they love Sinatra as much as I do! Listening: I shared my Christmas playlist and you can find my November playlist, here. Loving: These navy suede bow heels are just gorgeous. I can't believe they are under $100. They're such a subtle and elegant statement, don't you think? I also love these satin mules- they're unique and the yellow color is really eye-catching. Loving II: I came across this bag organizer and absolutely love it. Don't you think it would make a really great holiday gift for the person who has everything?! Wanting: I just loved these nordic boots last year and never got around to buying them. I'm thinking of purchasing this year. What do you guys think? I already have L.L. Bean boots that I wear often, but I feel like these are a bit more of a stylish option that I can wear in the city. I feel like my L.L. Bean boots are more appropriate when skiing or when out in the suburbs/country. Look for Less: Have you seen these ginger jar smoking slippers?! They look SO much like my favorite Stubbs and Wootton pair but for a fraction of the price (under $100!). Pittsburgh-ing: If you are in Pittsburgh, have you been to Granpa Joe's candy store in the Strip District? It's one of my favorites. You can fill up an entire box of candy for just $5. There's a whole wall of candy to choose from. It's so much fun to get such an assortment to snack on! Smelling: I am obsessed with this holiday spruce candle that's just $15. It smells very similar to the Nest holiday candles! Traveling: Next up is DC this weekend to visit one of my best friends! I am just going for one night, but I'm excited to see her- it's been about six months! Quoting: 'Do your future self a favor and work hard, now. '// See more of my favorites, here. You can see a list of my favorite Cyber Monday sales with all of the codes, here. 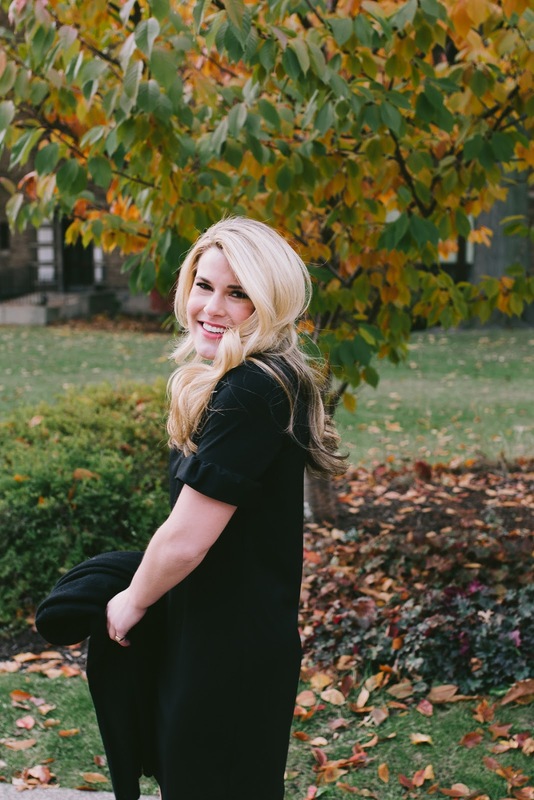 But this post is to share some of my favorite deals with you! 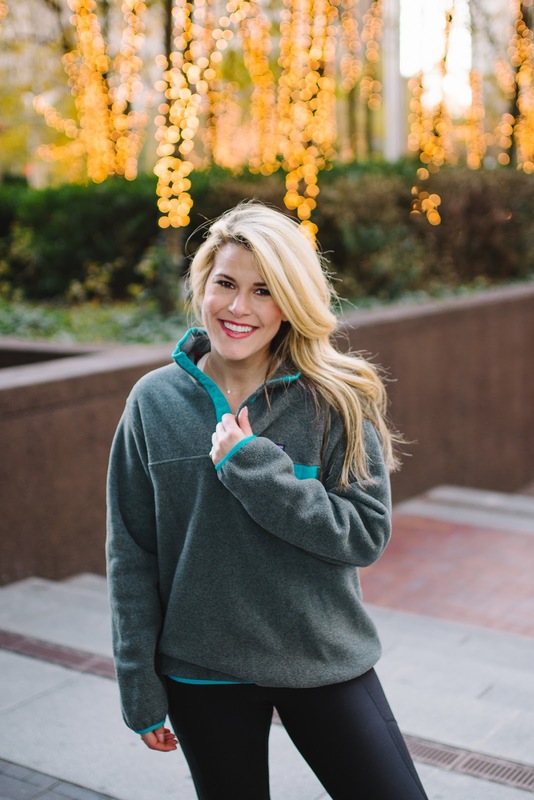 - Love this sweater fleece pullover which is super similar to my favorite Patagonia better sweater. Use code THANKS20. - Doggy gift set with embroidered name (SO cute) is 20% off! - Charging cable that's 20% off. I love that there is a battery attached to the cable so you're never without power on the go! 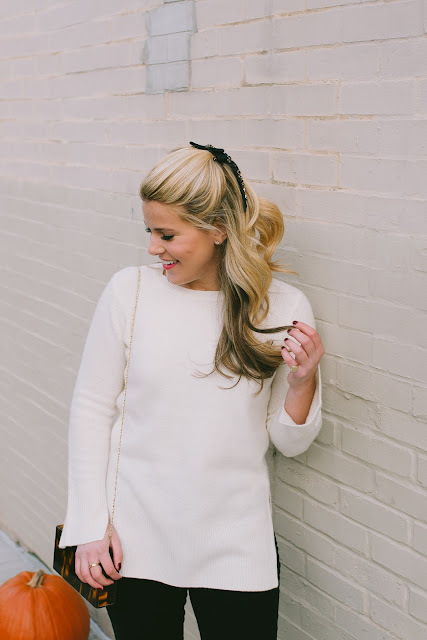 - The best cashmere sweater is 50% off! - Festive buffalo check pillow well under $30! - I ordered these for my mom, sister, and I as our Christmas morning pajamas! They're 40% off and an extra 10% off (until noon). - Gorgeous Prada bow mules- I've been eyeing these for a while now! I hope you all had a wonderful Thanksgiving! It was so nice being back from Paris just in time to celebrate with my friends and family! Unfortunately, I became a little under the weather. Between the jet lag and a bad cold, I was down for the count for a solid 24 hours over the weekend, but I'm already feeling a lot better and so ready to tackle this week and get back into a great routine! 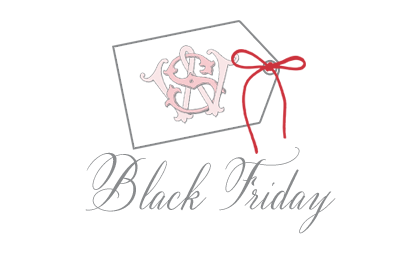 Just like Black Friday, I'm sharing the biggest sales of the day (codes will be updated as they change)! Has anyone scored anything really incredible?! I did all of my shopping for pretty much everyone on my list. I'm so glad to be done and ready to wrap everything. I love being prepared! At 7am, I'll be back with another post highlighting some of my favorite items! I'll also be back later today to announce the giveaway winner, so if you had a chance to enter, check back to see if you are the winner! Saks// The designer sale, up to 40% off. Happy Friday, everyone! I hope you all had a wonderful Thanksgiving filled with family, friends, food, and fun! Ours was great... we had a slow morning filled with the Thanksgiving Day Parade, lots of coffee, cinnamon rolls, and pajamas until noon! Today, I'm taking it easy, too, and enjoying having Callie home in Pittsburgh! We are going to be getting together with friends and family again for dinner tonight. I love this time when we are all together. Yesterday, I shared all of the Black Friday Sales with you. I'm continuously updating it, so keep an eye out on Cyber Monday, too! You can also always visit this landing page for up to date sale information! 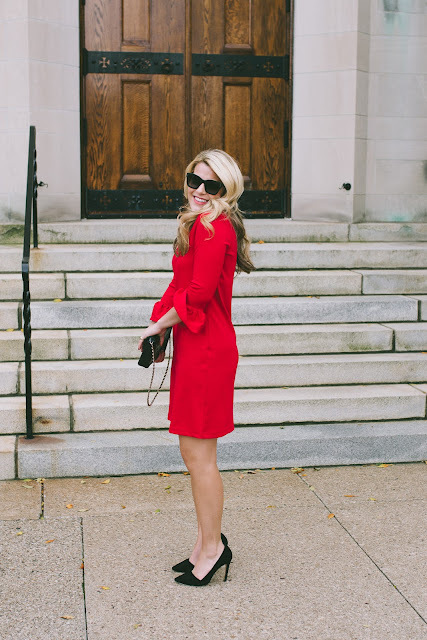 Just as I shared a list of the sales, today I am sharing my favorite pieces from some of my favorite retailers. You'll be able to see the retailer, the sale, code (if needed), and then a widget and blurb about the pieces. Abercrombie has quickly become one of my favorites. They have such easy wardrobe staples. Right now I'm loving this gorgeous silk blouse. I also have soooo many of these basic long sleeve tees. They're beyond comfortable and wash nicely, too. I just ordered this lounge tee because I felt it in store and it is SO soft. I kind of hate when you have to spend a certain amount to get the discount, but at Club Monaco, spending $150 is pretty easy since their price points typically skew a bit higher. I love Club Monaco for their cashmere (have this in almost every color), coats, and their Alessia pants. This is such a good sale and there are very few exclusions. I have been getting so much from J.Crew lately because I have been loving their pieces. It really feels like the 'old' J.Crew. I know I've talked a lot about this coat, but it's truly the best. My mom and I both wear ours throughout the winter season. It has held up so beautifully through the years, too! You can see me wearing the coat in this post, here. Definitely take advantage of the bean boot sale, but my favorite from LL Bean is the canvas totes. You can never have too many and they make such a wonderful gift! I love Nordstrom- it's my go-to/one stop shop, but normally they don't have cray good Black Friday sales. However, this year, their designer sale is pretty darn good. If you're looking for some beautiful shoes, or a new handbag, this is the sale to shop! I love these Jimmy Choo pumps and there are so many Barbour jackets on sale! I think this one would make a great gift for any guy in your life. I have been dying for these velvet bow shoes and they are finally on sale! I can't wait to get them in the mail! You guys... this cashmere sweater is THE BEST. I wore it several times while I was in Paris (see me wearing it, here) and it is just gorgeous. The neckline is Audrey Hepburn-inspired and the length is a bit longer so it's great for pants or leggings. I also wore this beautiful cream coat while in Paris. It's gorgeous online, but in person, it is STUNNING. Guys, I feel like this is the biggest sale of them all! 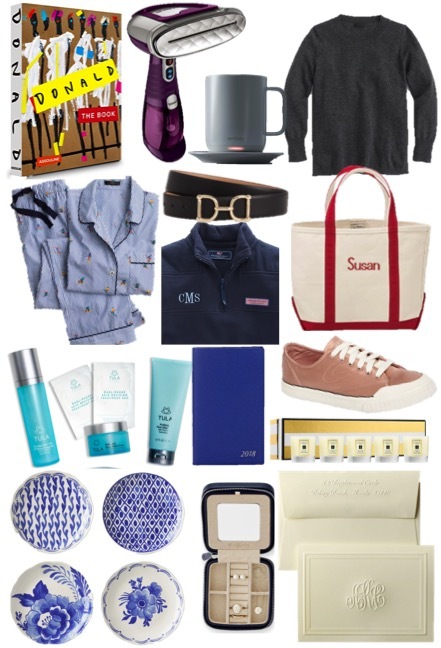 Not only is Tuckernuck one of my all-time favorite retailers, but this sale is too good! I love this navy party top, this little black dress (I have this! ), this dress perfect for New Year's Eve, and this plaid skirt. Happy Black Friday, everyone... or I guess I should say 'Happy Cyber Week' since all of the sales have been in full force for a while now! I say this every year, but I've never been into the whole 'Black Friday' thing where you go out late and shop. I'd much rather be at home with my family snuggled up nice and warm! But for those of you who love the thrill, let me know what you score... I always love hearing about good deals! Today I'm sharing alllll of the best sales around. I'm giving you the sale details along with any code you might need at check out. Keep an eye out, though, as most retailers are having their sales through Cyber Monday, but, some retailers are changing up their sales on Cyber Monday making them even better! Also keep an eye out here for updated information as the sales change. I'll also be sharing my favorite pieces from the sales, too! Happy Thanksgiving to each and every one of you! I hope your day is filled with fun, family, friends, and full bellies! In the spirit of Thanksgiving, I wanted to let you all know how thankful I am for each and every one of you. I love this little community that I have cultivated over the past eight years. I love connecting with you and getting to know more about you; whether that is through Instagram DM, e-mail, comments, or surveys, you are all so smart, kind, and polite. You consistently brighten my day, teach me new things, and make me a better person! Just as much as I hope Summer Wind is a bright spot in your day, you're all bright spots in mine and I really could not be more thankful. To let you all know how thankful I am for YOU, I'm doing a BIG giveaway here on Summer Wind. I've been working behind the scenes for the past month to gather a ton of goodies for this giveaway. 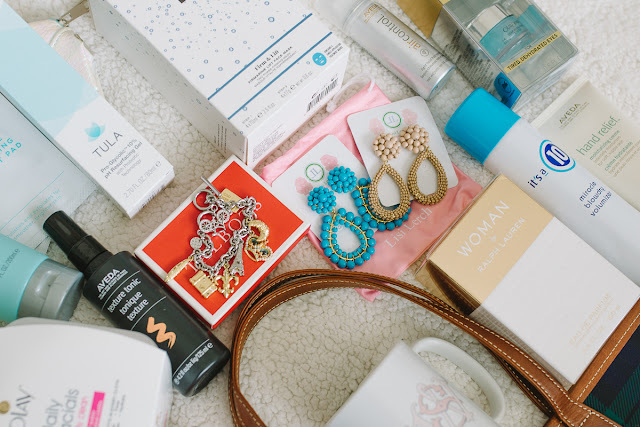 It's kind of like Oprah's 'Favorite Things' in that I have gathered some of my favorite things from my favorite brands in 2017 and want to give them all to one reader! Today I'll go through all of the items that will be included in the giveaway. This is also a great guide for stocking stuffers, presents, etc. 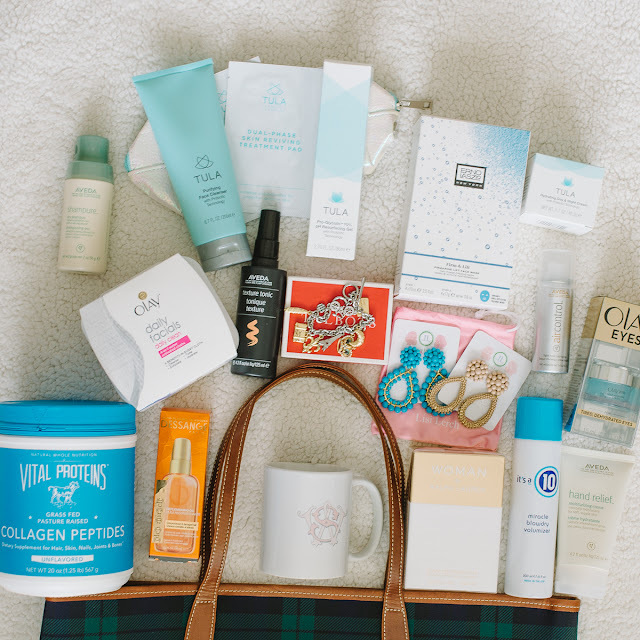 because these are all products that I love and think you will love, too! This is a long post, so keep scrolling. You will be able to enter at the bottom of this post. 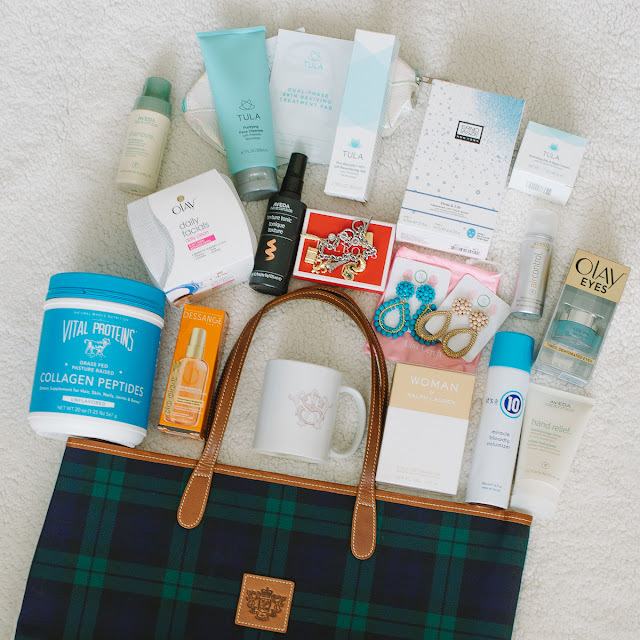 Barrington Gifts St. Anne Tote// I love Barrington Gifts and the totes that they offer. The St. Anne is one of their most popular totes and one I use frequently day-to-day. 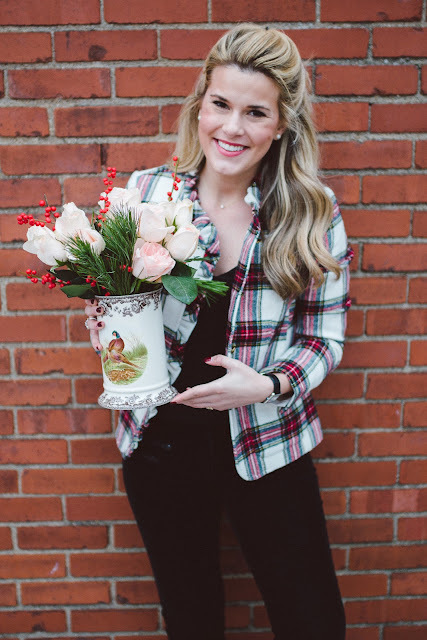 One of my favorite patterns is their Blackwatch plaid, so that is what the winner will receive! Olay Daily Facials// I started working with Olay this year but have been using the brand's products for years. I was introduced to their daily facials and they are a product that I now use every single day. They are the best cleansing cloths. They are gentle and really do an incredible job of getting all of my makeup off, too. I tell all of my friends about this product and so many of them have started to use them, too! You'll get 3 packages of 33 cloths each. Olay Eyes Deep Hydrating Gel// This eye gel is such a game changer. This was another Olay product I was introduced to this year and I now use it daily. It's meant for tired, dehydrated eyes, and it feels SO good when you put it on your eyes in the morning. It has a great cooling sensation and I really think it makes a huge difference in puffiness, bags, and dark circles. You will get 3 tubs of the Olay Eyes. Vital Proteins Collagen Peptides// I have raved about this powder for months now and I LOVE it. It made my shoulder pain go away entirely. I stopped using it for a few weeks to see what would happen and my shoulder pain came back. This is SUCH a game-changer. It's also an easy way to get protein and also helps your hair, skin, and nails! You will get one 20oz tub. Ralph Lauren Woman by Ralph Lauren Perfume// I recently received the most gorgeous bottle of Ralph Lauren's newest scent, Woman. It's a bit musky and warm but very feminine and pleasant, too! I love it and have started to wear it daily! You will get one 3.4oz bottle. Tula Gift Set// Tula is one of my favorite skincare brands. This gift set is complete with 3 full-size products, all of which I use weekly if not daily. They are great for any and every skin type. They are gentle and perfect for everyday use. I could not recommend this brand more. You can use SYDNEYHOLIDAY for 20% off your purchase, but also be on the lookout for their Black Friday and Cyber Monday deals! You will get the Balanced Skin gift set. Aveda Products// I get my hair done every 4 weeks at an Aveda salon and swear by their products. I love that they are natural and the scents are incredible. You will get a 4.2 oz texture tonic, 1.4 oz air control hairspray, 2 oz Shampure dry shampoo, and a 4.2 oz hand relief moisturizing cream. Talbots Bracelet// Talbots is easily one of my favorite brands. I love their pieces each season! To celebrate my Parisian adventure, you'll get 1 Talbots Paris bracelet! Erno Laszlo Masks// If this is good enough for Jackie O, it's good enough for me! This is a two-step mask that you can mix together. Once mixed, they are activated and you apply to your face. I love all of their masks an think you will, too! You will get one box of 8 pouches which is equal to 4 single applications. It's a 10 Miracle Blowdry Volumizer// I always get asked how I get the volume in my hair. Always. Mine is natural, but there are products to achieve it! It's a 10 is one of my favorite hair care products and their Miracle Blowdry Volumizer will definitely help you achieve some great volume! You will get one 6 oz bottle. Dessange Oleo Miracle Oil// I use this every time I wash my hair. I use it after I towel dry my hair (when it's damp). It smells wonderful but really combats the frizz and makes my hair smooth and shiny! You will get one 3.4 oz. bottle. Lisi Lerch Earrings// I'm typically wearing stud earrings... either diamonds or pearls, but when I want something dangly and fancy, I turn to Lisi Lerch. They have the cutest statement earrings! You will get one pair of Kate earrings in latte, and one pair of Margo Earrings in Turquoise. These earrings are for pierced ears. Summer Wind Mug// This is just a cute mug I use daily and a fun little extra! Leave your name and e-mail// This is the only mandatory entry. I wanted to make this giveaway super simple to enter but you'll see below you can gain extra entries that are a little more complicated below. Share this giveaway on Instagram// You must tag me in the post and you must share your handle in the form so I am able to verify this. The giveaway winner will be announced on www.summerwindblog.com at 2pm EST on Monday 11/27. The winner has 24 hours to contact me at summerwind41490@gmail.com to claim their prize. If the winner does not contact me within 24 hours, I will choose another winner. There are SO many sales right now. It can be so tough to even know where to start, am I right? I'm not one to shop in person, ever, but especially not on black Friday. I'm happily enjoying these sales right from my couch and you can, too! I have an entire list of the sales which you can find, here. The page will be updated as sales are added and/or changed. But, it's a lot. So I thought I would go through and share some of my favorite pieces and best deals. Stay tuned for more sale content and a huge giveaway starting tomorrow and going on through Monday 11/27. First up is the coat you see in the photos above Sorry for the poor photo quality- I haven't yet gone through all of my photos from Paris, so these were just snapped on my iPhone. I have had this coat for years. My mom has it, too! We absolutely love it. The quality is superb and it is an attractive and warm coat. The A-line shape makes is flattering and comfortable and I love that the faux fur is removable from the hood. As far as sizing goes, I am wearing a size 2. I typically err on going up a size in a coat because you want to be able to layer, but I think this runs big. A 2 still gives me plenty of room to layer up! I have been eyeing so many pairs of shoes... they were already a great price, but at 50% off, you really can't beat it. I stopped by the store to check on the quality and the shoes are really well done. I love these bow loafers that come out to be under $75. Besides shoes, I also LOVE this navy velvet bow clutch. How gorgeous?! Scroll through the widget above to see some of my favorites. Right now, this is my absolute favorite long sleeve tee. It is soft, washes well, and looks great. In the winter, I typically wear something under my sweaters and this has been my go-to tee for just that lately. The photo above is me wearing the joggers I have been talking about for the past few weeks. They are SO incredibly soft and comfortable. They run true to size. 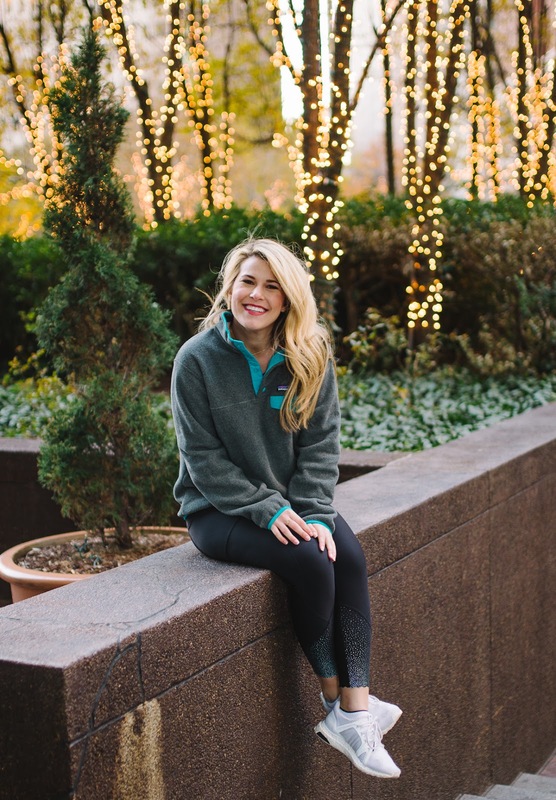 This super soft, high-quality cashmere sweater is one of my newest favorites. I love the tunic length and the beautiful cream color. It's simple and luxe! 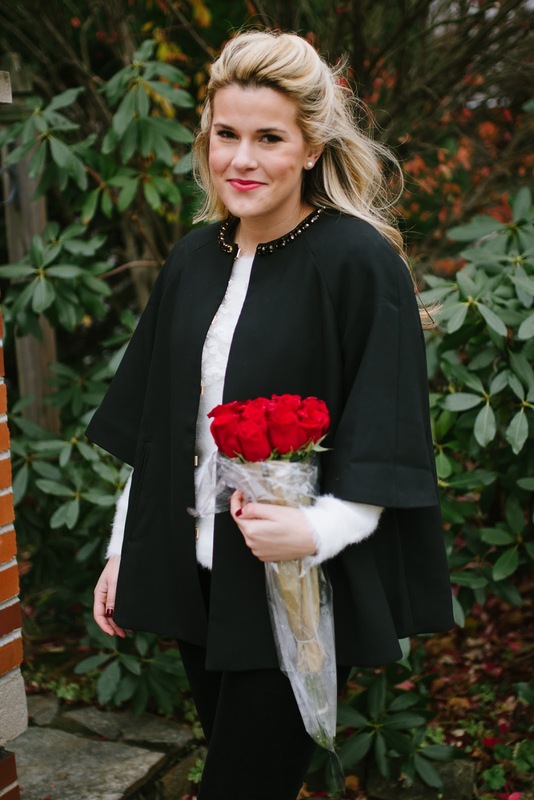 This coat is also a major steal since it is already on sale! 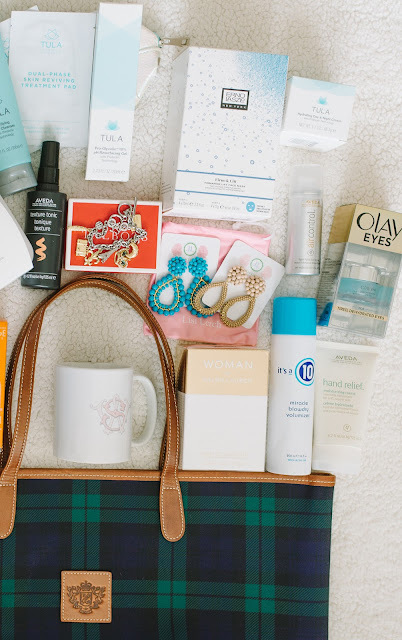 To say this was the year of skincare would be a major understatement. I swear I was sent a different skin care brand each week. I have drawers and drawers full! This year I also learned that the reason skincare companies are so lucrative is that their markup is one of the largest in retail. Hence why there are SO many brands and new ones popping up seemingly every week. I only have one face and I want to be as transparent and truthful with you as always- especially when it comes to caring for your skin! I typically share the 'best of' during the week between Christmas and New Year's but I thought you might want to shop some of my skin care recommendations either for yourself or for someone on your list. Everything I am about to list is something I have tried. I've tried it for at least a week straight, but most products I have used for months. I stand behind all of these products. They have worked for me and they are truly worth the money. I'll try to be as descriptive as possible, but please feel free to leave a comment if you have a question! Skinceuticals C E Ferulic// This product has thousands of rave reviews across the internet. It's super expensive and even smells awful. Doesn't sound great, does it? It is SO good. This serum has 15% vitamin C (which is even stronger than the product below). I pat this serum on my face in the morning and at night. If I am wearing makeup, I skip it in the morning, though, since it makes your face shiny. The effects of C E Ferulic last 72 hours and can't be washed or rubbed off. Like holy cow! It's truly reduced the redness and cleared up my skin. I think if you're willing to spend and looking for very noticeable results, this is exactly the product you want to be using. Zo Skin Health C-Bright Serum// A great concentrated dose of vitamin C (10%). It's one of the highest concentrations you can find (besides the serum above). It helps to remove discoloration from your skin to brighten and clarify. I really think this is helping with my acne scarring. I put it on immediately after cleansing both day and night. I also feel like when I put it on, it smoothes out my skin, making it a really great primer for makeup. Resurfacing Gel// I'm a HUGE fan of the entire Tula brand, but the resurfacing gel has become one of my top favorite skin care products. I've been using the product for almost 7 months now and I've noticed a huge difference in my skin. You use it in place of a toner after cleansing your skin. I skipped out on my prescription strength glycolic acid to use this to see if it was at all comparable. And guess what? It worked just as well, if not better and I don't use the prescription glycolic acid anymore! I use it every morning and night (after cleansing) and it very gently exfoliates your skin because of the glycolic acid, but what sets this apart, is that it also moisturizes using hyaluronic acid, too. Use code SYDNEYHOLIDAY for 20% off. m-61 PowerGlow Peel// These little pads are individually wrapped and saturated with glycolic and salicylic acid to exfoliate. These are my go-to for travel so I don't have to lug big jars/ bottles of products. I really like that they feel strong on my face, and I can tell they're working but they are not irritating. Vital Proteins Collagen Peptides// A lot of you have been e-mailing and DM-ing me asking if I am still taking collagen peptides after this post. The answer is YES! I stopped taking it for about 2ish weeks to see if I would notice a difference, and no joke, my shoulder pain came back. This stuff is in my skincare post because I also really believe my skin is better because of it, too. It's a miracle worker and I really think it's worth taking every single day! I just recently started taking the pills (about two weeks in) and so far, so good! Olay Eyes Deep Hydrating Eye Gel// I am doing a partnership with Olay for a year, which is really exciting. They are one of my favorite skincare brands. Luckily, I get to try out so many of their products because of this! This eye gel was part of a campaign in September and I LOVE it. I put it on every morning. It's so lightweight and hydrating. It's also chilled (without even putting it in the refrigerator). I feel like it really helps my eyes to look awake and refreshed. Bioderma Micellar Water // This is the best micellar water out there. It's specially formulated to regulate sebum, which is what clogs pores. I use this when I have stubborn makeup that refuses to come off and love it for traveling when you need a quick cleanse before you apply your makeup. Persa-Gel 10// This is a gel cream that you apply directly to a zit and is probably my favorite product ever for getting rid of a zit overnight... it also happens to be one of the most inexpensive. Major win. Not to be confused with this product. The packaging is very similar and it is made by the same brand, however, Persa-Gel 10 has the maximum amount of benzoyl peroxide in it before you need a prescription (10%). I always have a tube of this on hand. You just dab it on at night as a spot treatment and it reduces, of not totally gets rid of a zit. Colleen Rothschild Salicylic Treatment// I love love love this brand. This salicylic treatment seriously helps to keep my acne at bay. I am most impressed by it because it works but without drying out my skin at all. Ever. You actually put this all over your face so it's not a spot treatment! Tulasara Face Cream// This is the holy grail of face products for me. I know I have written about this product a bunch before but that is because it's a miracle product. It's supposed to brighten and firm skin over time, and while I'm not sure about the firming part, it TOTALLY brightens my skin. It's a super thick cream and I apply it at night after cleansing and toning. I wake up and my skin is instantly brighter and smoother and just all around healthier looking. I know that sounds too good to be true, but this stuff is pure magic and worth every single penny. I'll continue to use it for years to come. Tula Hydrating Cream// One of my all-time favorite face creams. I use every morning and it wears so well under makeup. It's incredibly hydrating for how lightweight it is and very gentle. I actually think it helps to clear up my skin- which isn't something you'd think a moisturizer would do! Use code SYDNEYHOLIDAY for 20% off. Colleen Rothschild Complete Eye Cream// I feel like I've tried a billion eye creams. I typically like most eye creams; I don't think I've ever come across an eye cream with a strong dislike, but the texture of this one is absolutely wonderful. It's rich and creamy and I truly feel like it works. It's a bit heavy so I like to use this at night. Cetaphil Rich Hydrating Night Cream// I absolutely love this cream! I love the Cetaphil brand in general, but this night cream is one of the best products that they make (in my opinion). It's a super rich, thick cream that you can put on at night. I put it on heavily and sleep with it on. It doesn't leave your face greasy at all and really just makes your skin moisturized by the time you wake up. For the price, this is an absolute must. Olay Daily Facial Cloths// I did a whole post on these and they really are a game-changer. Check out my full post to read more about why I love them so much. I don't think I could go a day without them! Ibuki Cleanser// This is a little more than I typically spend on a face cleanser but it is amazing. If I am feeling extra oily or maybe gross from a workout, I use this cleanser. It not only cleans my face but makes it feel so refreshed. You only need to use a pea size amount and warm water and voila, fresh skin. I also love the way this smells. It just smells clean. Erno Laszlo Lighten and Brighten// This is a 2-step vitamin C mask. I've tried so many of Erno Laszlo's products and while I really like all of them, this is by far my favorite. You can truly see it lighten and brighten your skin. Irish Mood Mud Mask// Love love love this black mud mask. I use this a few times a month and after removing, it makes my skin instantly look fresher and clearer. Goop Instant Facial Mask// This is an exfoliating mask (using AHAs and BHAs). You only leave this mask on for a few minutes because you can actually feel it tingle on your face. This is definitely one you want to use at night as once you remove it, your face is a bit red from the acid. I try to do this once a week or when my face is looking really dull. I think you can find a lot of gifts under $100 during the holiday season. But the hard part is finding something that is of quality and unique. So, today I'm rounding up not only gifts that are under $100, but gifts that I think are the best value. Travel Jewelry Case// How cute is this? I love that it is monogram-able. I think that personalization is a really easy way to make something seemingly ordinary, really special. Coffee Table Book// This is one of those items where you can never have enough, so it's good for someone who seemingly has 'everything'. Think of a topic that your recipient enjoys and I'm sure there is a great coffee table book on that subject. For example, a few years ago, a best friend from high school got married and after they got back from their honeymoon in Napa, I sent them a coffee table book about Napa to commemorate their trip. I also shared this last year, but you can get customized coffee table books. There is one for birthdays, one for football teams, and one for baseball teams. It's a beautiful leather bound book with images and stories from the archives of The New York Times based on the date or topic you pick. Steamer// This is a really great option for someone that travels a lot or someone hard to shop for. This steamer is the BEST. I have a full-size professional steamer and I still prefer to use this one. Plus, it's decently compact so it's easy to travel with! Equestrian Style Belt// Belts are having a moment with the popular Gucci belt. But, I love love love this classic and tasteful belt. It has the same look without a gaudy logo and is a fraction of the price! Definitely would be a great option for someone who works in a traditional office. The black will blend in with her office wear, but the pretty gold detail will add something special. Cashmere Sweater// The ultimate in luxury. I have this exact sweater and the quality for the price is great. This is another great option, too, with even more color selections! Custom Stationery// This is one of those things that is pretty affordable but looks so luxe. My grammie gifted me a box of beautiful monogrammed stationery one year and I loved it SO much. I think this would be a great gift for a new home owner or a newly married couple! Pajamas// When in doubt pajamas. Always pajamas. Why? You can never have too many sets and there are so many choices under $100! I especially love this set because it combines my love for blue and white and skiing all in one. Too cute! I also love this nightgown. I have it in white and wear it constantly! 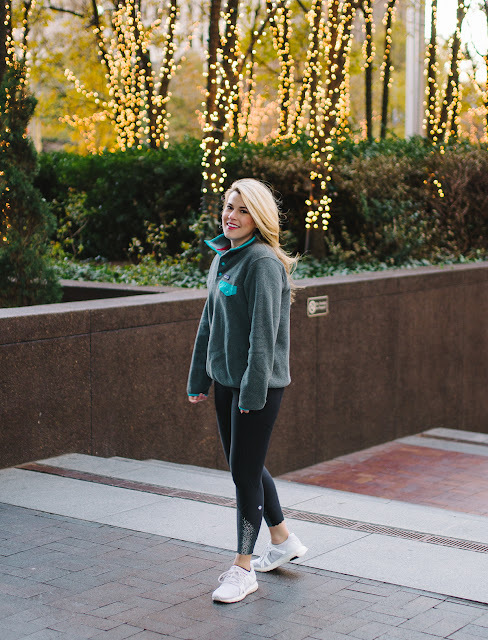 Shep Shirt// This is such a classic and one of my favorite lounge pieces in my closet. I have a few and they're all so cozy! I suggest sizing up for a more relaxed/comfortable fit! Temperature Controlled Mug// This is kind of wild, but it's a mug that will keep your beverage at a temperature you prefer. I have this issue when I am on my second cup and don't drink it fast enough and it starts to cool. I end up having to reheat it. With the ember mug, this will keep your tea or coffee or whatever warm. This is perfect for the tech geek or someone who's always stuck at their desk working. Jo Malone Candle Set// A candle-lover can never get enough, right? I love Jo Malone candles and it's fun to be able to try out new scents. Plus, Jo Malone always comes in the most beautiful packaging sure to impress! Canvas Tote// This is the best gift for any age, any gender- everyone will be happy with this classic canvas tote. I have a few and use them weekly. you can use them for so many different things, too. Like a laundry basket, or a toy 'box', or a beach tote. The options are endless. Tula Skincare Set// I'm always hesitant to gift anyone a skincare product with 'anti-aging' on the label in fear that it will offend. But with these, you don't have to worry about that. This gift set features all of my favorite products that I use daily. They are gentle and work for pretty much any skin type. I could not recommend this brand more! 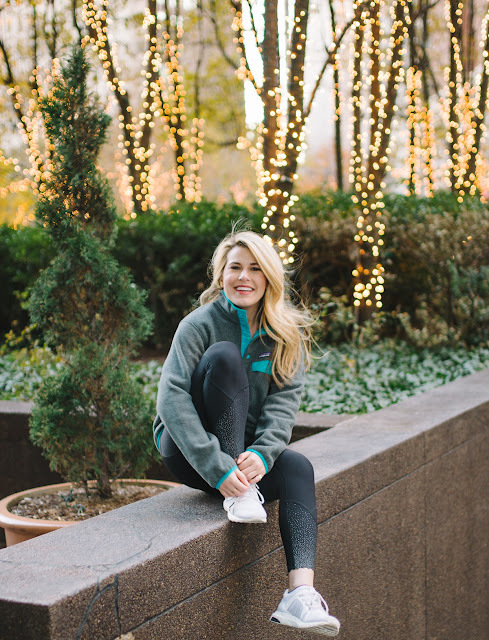 Use code SYDNEYHOLIDAY for 20% off your purchase! Leather Datebook// I think there is nothing more elegant and sophisticated than a small leather-bound date book. I know at this day in age, scheduling on your phone is more popular, but I am still such a paper girl! I love the feeling of writing things down and crossing them off. I think this is a lovely gift for any sophisticated gal! Sneakers// I used to never ever wear sneakers unless I was strictly working out. Now, I wear them all the time. I think there's definitely been a change in sneakers over the year. There are so many cute options and there is no need to ruin your feet in heels every day. I love Tretorn and they have released some really pretty pairs of sneakers. 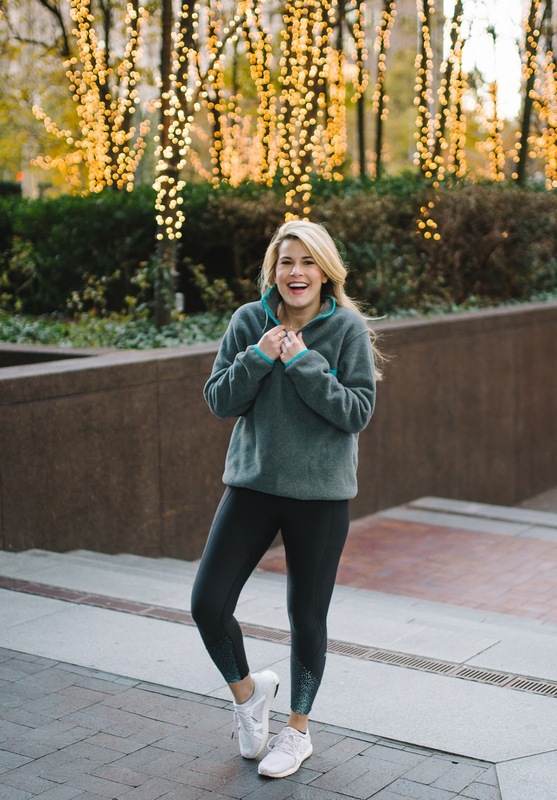 Perfect for the sportier gal or someone that lives in a big city and does a lot of walking! I also love this blush velvet pair and I have this pair and they are amazing! Blue and White Dessert/Appetizer Plates// I love the Aerin for Williams-Sonoma collection and these blue and white plates are beautiful. Perfect for the blue and white lover in your life! Happy Monday, everyone! Today I'm talking about holiday dresses. 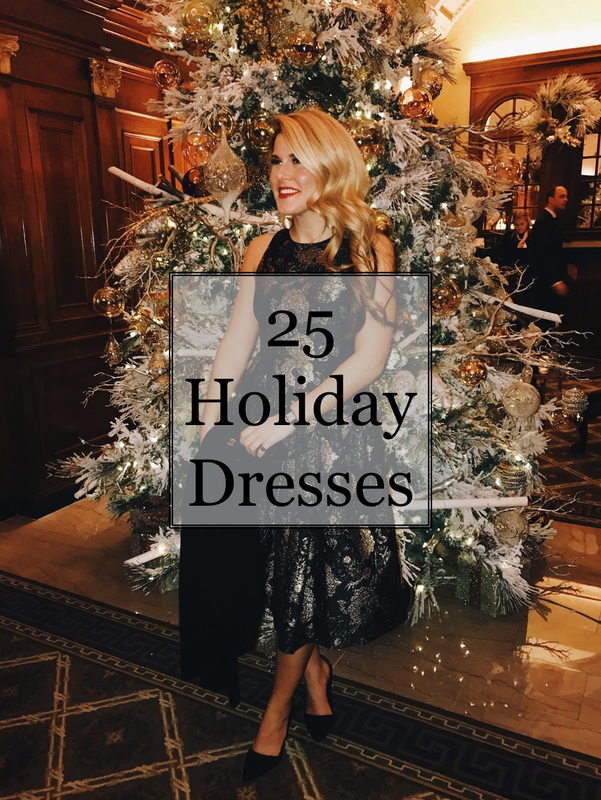 I am really picky about the dresses I wear so rounding up 25 dresses that I truly love was tough! All of the dresses I am sharing today are at all different price points and levels of dressiness. So I hope that there is something for everyone in this mix. In my family, we dress up for Christmas Eve. I am also going to The Grinch and Trans Siberian Orchestra, I have a black tie wedding in Martha's Vineyard, and will be traveling to Arizona for New Year's Eve (formal), so LOTS of dresses to be worn! We usually go to Washington D.C. in December with my family as my gift to them, but unfortunately, we were unable to make it happen this year. I am SO bummed, you guys. My sister wasn't able to take off work, and my parents can't go the only free weekend that I had. But, we are going to have to make up for it! But that's usually where I end up getting a ton of wear out of pretty dresses. However, I still have a bunch of events, so even though I'm bummed, I'm still excited to get dressed up! Anyway, scroll through the widget above to see all 25 dresses. Let me know if you have a favorite! You guys all know my love for Sailor-Sailor. It's such a cute and classic brand with high quality pieces. I particularly love the brand because their pieces are so low maintenance and yet they always look fabulous. You can machine wash the pieces and they don't wrinkle so it's very easy to travel with Sailor-Sailor pieces. 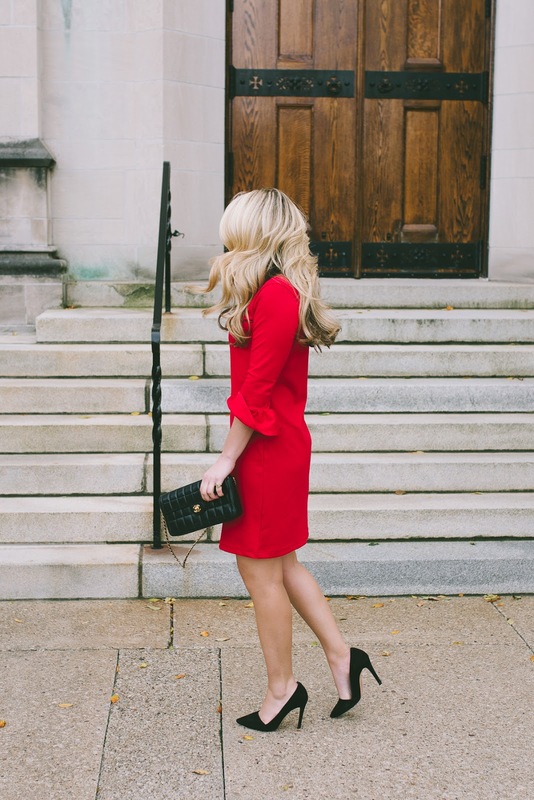 I know a lot of you will be traveling over the next few weeks, and having a low maintenance dress is key! Sailor-Sailor sent me two of their latest holiday dresses (Red Dress,Black Dress) and they are too cute. 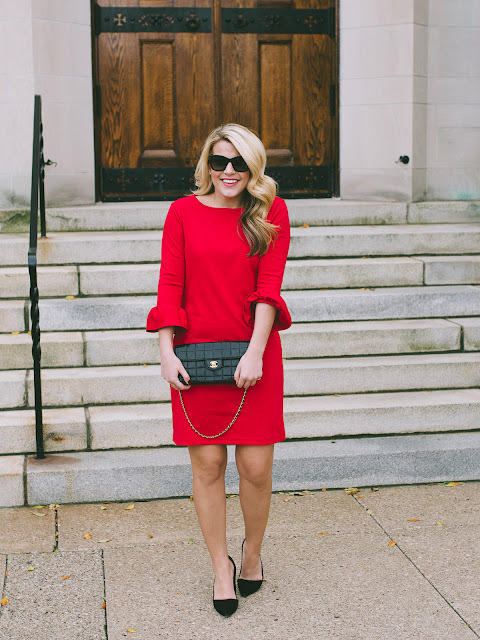 I love that they are simple but the ruffle on the sleeves adds some fun. I typically love black dresses, but around the holiday season, I definitely reach more for red dresses, so I think the red is my favorite! They are stretchy and beyond comfortable. So whether you want to leave room for a food baby, or are chasing around an actual baby, this dress is perfect. 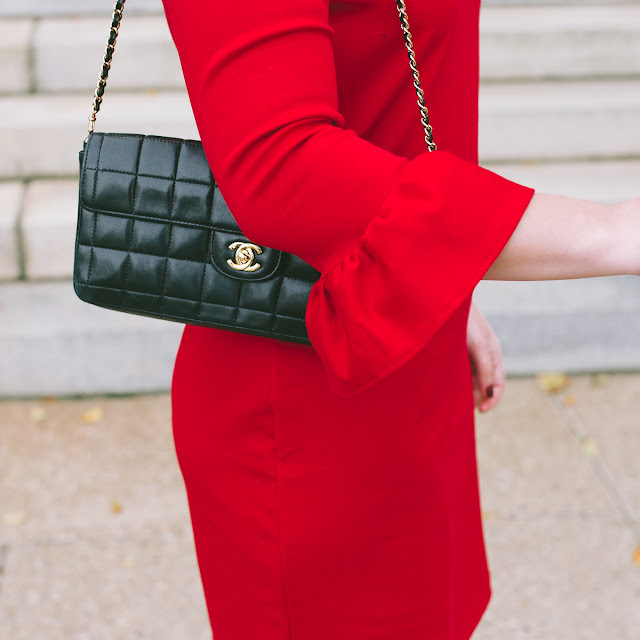 If you aren't a fan of ruffled sleeves, they also have a plain black version. This version, in my opinion, is an absolute wardrobe staple. 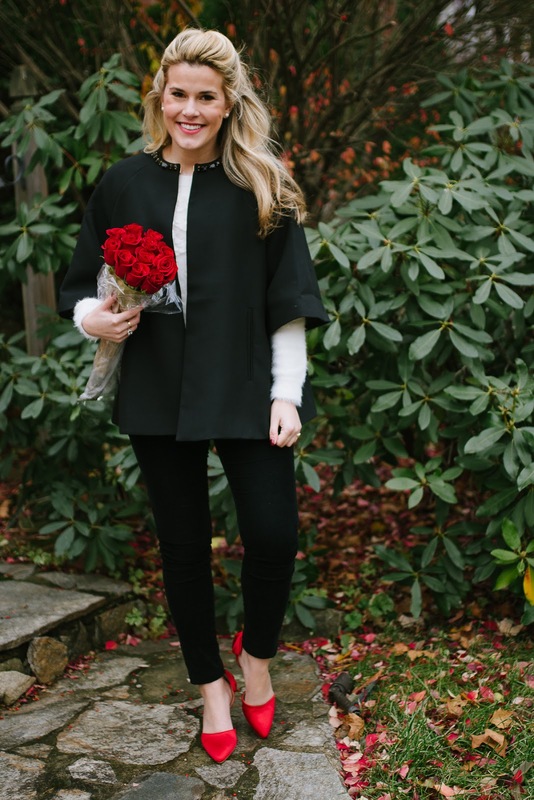 Everyone needs a classic black dress and this one is just that! The dresses run true to size. In both colors, I am wearing a size small. If you are wider in the hips or have a larger chest, I would suggest sizing up. But otherwise, they are stretchy and meant to be a bit form fitting, so stick with your usual size! Sailor-Sailor is also available at Tuckernuck, which is another favorite of mine! Thank you so Sailor-Sailor for sponsoring this post. All opinions are my own!